Insurance Litigation Lawyers Dublin | Giles J. Kennedy & Co.
Giles J Kennedy & Co. have practiced in the area of Insurance Litigations for over 20 years. Insurance Litigation, to include dealing with Insurance Policy disputes, policy enforcement, arbitration, re-insurance, etc. is a specialist area of practice amongst our highly qualified and skilled staff. 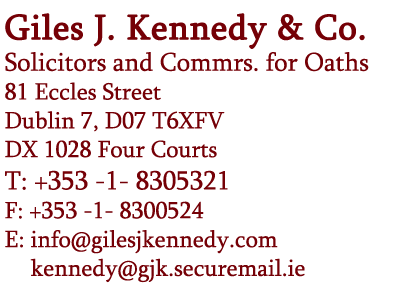 Giles J Kennedy & Co. are in the unique position in the market place of having a wealth of experience in representing not just the individual private clients (to include SME Companies, large corporations, sole traders, and individuals) but also regularly act for and advise large UK and Irish Insurance Companies. Giles J Kennedy & Co. acts for individuals on a day to day basis in Insurance disputes. Giles J Kennedy & Co. have successfully protected the rights of their individual clients in Insurance disputes in Court and Arbitration hearings. The majority of Irish adults holds some form of insurance whether they are involved in business or not. It is only when a loss occurs that people examine the terms and conditions of their policy and the cover provided. Our experienced staff will work with you towards the best possible resolution in the most efficient manner possible. Giles J Kennedy & Co. also represent many Professional clients in Professional Indemnity Insurance Disputes. Our clients range from Architects, Solicitors and Doctors to Event Managers and Retail Companies. Why not call us today to arrange a consultation on 01-8305321 or email. Giles J. Kennedy & Co. has a team of experienced Solicitors who handle a wide range of issues and provide expert legal advice to a number of high profile Insurance Companies from both the United Kingdom and Ireland. 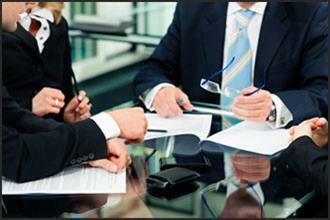 Our team of Solicitors advise Insurers with regard to issues such as Indemnity, Policy disputes, and Re-insurance. Giles J. Kennedy & Co. have worked with large Insurance Companies in the areas of Professional Indemnity, Public, Product and Employers Liability and Negligence claims for over two decades and continue to advise on these issues on a daily basis. Our firm has particular experience working for large Insurance Company Clients in dealing with high volumes of cases in the Professional Indemnity Insurance and Public Liability Insurance areas. Our team has vast experience in handling claims from first notification, through the investigation stages, and all the way to the Courtroom where necessary. We offer competitive rates and unrivalled experience and service.